Andrew Wiggin is told that he can no longer live on Earth, and he realizes that this is the truth. He has become far more than just a boy who won a game: he is the Savior of Earth, a hero, a military genius whose allegiance is sought by every nation of the newly shattered Earth Hegemony. 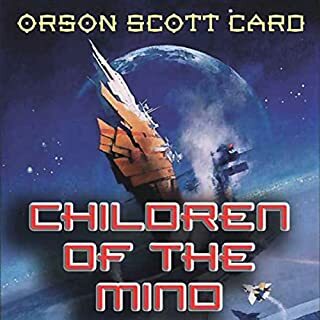 He is offered the choice of living in isolation on Eros, at one of the Hegemony's training facilities, but instead the 12-year-old chooses to leave his home world and begin the long relativistic journey out to the colonies. If you like the series you will enjoy this Book. Now a Major Motion Picture. The war with the Buggers has been raging for a hundred years, and the quest for the perfect general has been underway for almost as long. Enter Andrew "Ender" Wiggin, the result of decades of genetic experimentation. Is Ender the general Earth so desperately needs? The only way to find out is to throw him into ever-harsher training at Battle School, to chip away and find the diamond inside, or destroy him utterly. Ender Wiggin is six years old when his training begins. He will grow up fast. But Ender is not the only result of the experiment. His two older siblings, Peter and Valentine, are every bit as unusual as he is, but in very different ways. Among the three of them lie the abilities to remake a world. If, that is, the world survives. This Special 20th Anniversary Edition of the Hugo and Nebula Award-winning classic is now digitally remastered with a full cast production. 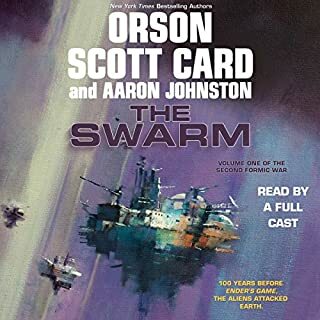 It also contains an exclusive bonus: an original postscript written and recorded by the author himself, Orson Scott Card! I read lots of great reviews about this story. But the narration is so... uh... wrong. Haha! For some reason children in space were cast as a gang of Mafia bosses at an AA meeting. Definitely the worst casting I’ve ever experienced in my life. Somebody tell me when audible updates the performance so this story actually makes sense. well then book go to the plot twist well written a good time I'd recommend it. Fantastic performance. From start to finish, this book really draws you in. The main voice actor/producer has a soothing voice, and accurately differentiates characters through tone and inflection. The writing style is very easy to understand. It doesn't bore you with gobbledygook or fluff words. Everything written has importance. This is how the story should be experienced. This is my favorite science fiction series. The characters are easy to identify with, and you will find yourself sucked into this imaginary universe, nicknamed the Enderverse by fans. 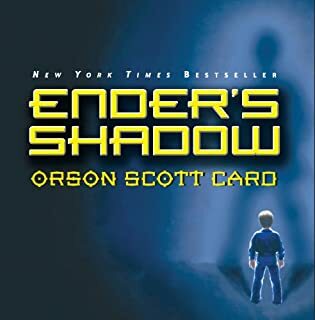 Recommended order of reading (in my opinion): Ender?s Game, Ender's Shadow, Shadow of the Hegemon, Shadow Puppets, Shadow of the Giant, Speaker for the Dead, Xenocide, Children of the Mind. Reading the books in this order will keep you interested and keep the story moving more naturally. If after reading all of these wonderful books you are still itching for an Enderverse fix then read First Meetings. The list above is sorted by the Enderverse timeline. Meaning that the flow of events in the stories are uninterrupted. If you were to read the books in the order they were published, you would bounce back and forth in between time and few of the plot twists in future books would be revealed before you wanted them to be known. 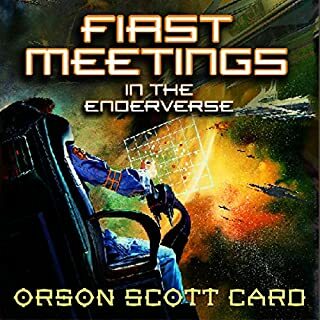 First Meetings, however contains short stories that occur both before and in between the list above within the Enderverse. Ender's Game is one of the best sci-fi books written. what happened on Earth after Ender's Game. 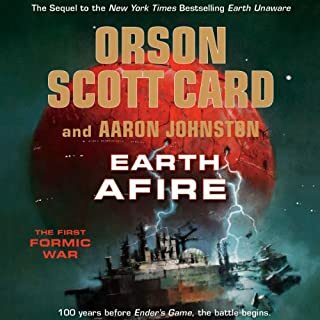 Based on an Audible.com recommendation I looked into obtaining Enders Game. Admittedly I was reluctant to listen to this. Primarily - I enjoy political thrillers, history and biography titles. I did not see a science fiction novel fitting in there. On reading other reviews I decided to give this a try. Was I in for a surprise. This is one of the most entertaining audiobooks I have ever listened to. Hang on, because you are in for a warp speed ride through Andrew Wiggins world. Incredibly entertaining, intellectually challenging, and very mature. Sharp dialogue, great pace, non-stop action. As with most truly great reads (listens??) you do not want it to end. 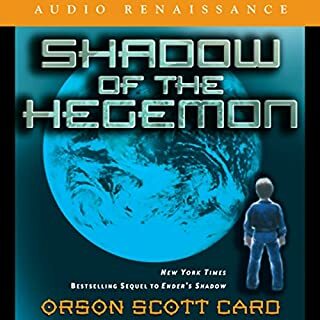 Well, Enders game is part of a trilogy: Enders Shadow and Shadow of the Hedgemon. 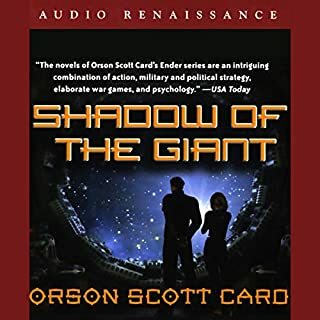 I just finished Enders Shadow, another excellent audiobook. I have purchased 'Hedgemon' but I need to catch my breath before I start it. Listen to Enders Game you will not regret it. 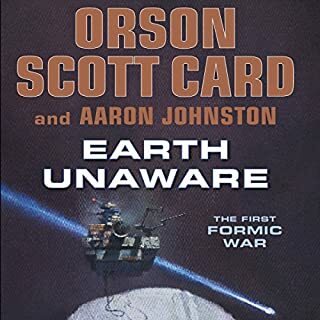 All other Science Fiction is measured by Orson Scott Card's masterpiece. 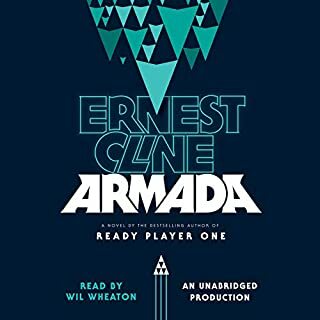 Decades before Ready Player One, we had Ender Wiggins. The plot is superior, the characters deep, the twists are pre RR Martin. Since I read this in the 80's, I have told everyone I know about it and I lost count of how many times I have read the hard copy and listened on CD and download. Rudnicki is to Card, as Muller was to King, Porter to Mayberry and Runnette to Tufo. I have to admit, this audio book totally took me by surprise. 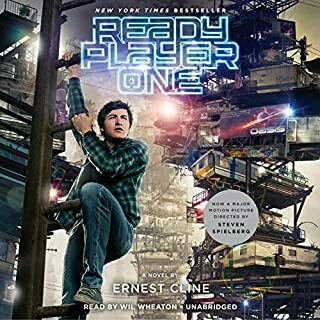 Except for the Harry Potter books, performed by the incredible Jim Dale, Enders Game is the first audio book that I've listened to that I hadn't first read. All I can say is, WOW. The performance given during this 'reading' comes close to rivaling that of the previously mentioned Mr. Dale, in my humble opinion. It's obviously a very different kind of performance, for a very different kind of book, and that's a good thing. As for the story, it's excellent. Recommended by my brother, I read the summery with a great deal of apprehension. A little boy, attending a 'battle school' to become the military commander that would lead Earths space fleets to victory over an alien invasion force? As I write this, it still sounds silly, and perhaps it is. But Card makes it work, and work very well. And extremely entertaining to boot. The plot and character development move along at a good click. So good in fact that I was completely engrossed within the story when plot twists materialized and was genuinely surprised. THAT'S the mark of a well written/performed book. 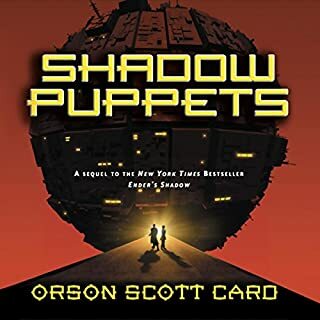 Overall, between Card's story telling and an excellent narration, this audio book should be towards the top of everybody's list. And not only science fiction fans, but anybody searching for a great performance of a great book. This book was a strange choice for me,(I didn't know Card, and rarely read Sci Fi) but I was browsing, and chanced upon it. For some unknown reason, it intrigued me, so I tried it. 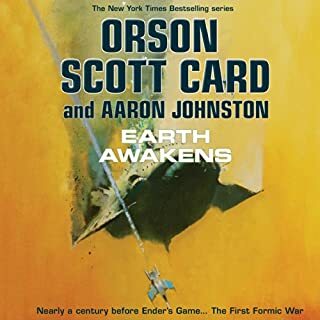 It was, then, to my utter astonishment, that Ender, and his story, somehow catapaulted within me to earn a place on my list of all time favorites! (Lit major,former teacher,I've read a bunch). The story itself is a good one, but I think that, it is its unraveling, that speaks to one's soul. I encourage you, even if you don't usually read this type of book to try it. 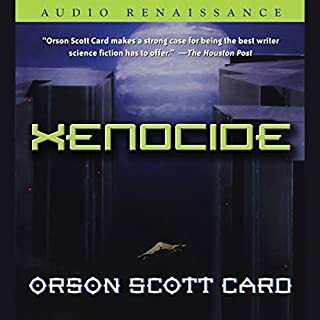 Experiencing withdrawal symptoms, waiting for audible to offer "Xenocide",(the sequel to Speaker), and hopelessly addicted to Ender's story, I wandered on to listen to the others in the series. I actually READ "Ender's Shadow", because I didn't want an abridgement (I craved every single word!). I thought that these other books would have little impact on me, since Ender's character is only a peripheral element. 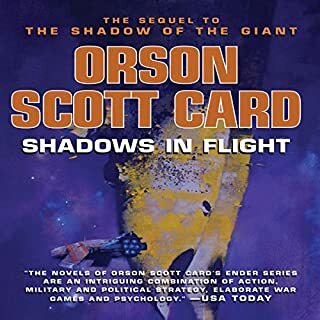 In the "Shadow" series, like the peeling of an onion, Card reveals layer after layer of the characters he creates in this book, and I found myself caring as much about them as I did about Ender. I understand that Card is in the process of writing a book about Ender's mother. (As is probably obvious, I became obsessed with Ender, and had to find out everything I possibly could.) Before I read the "Shadow" series, I thought, "Who would want to read a book about Ender's mother?" Now I know the answer: ME. If you start with "Ender's Game",and then go on to the others in the series, I think the answer might also be YOU! This story is so captivating. While the narrator for Ender is great, I cannot stand the woman they chose to narrate Valentine. Sounds like the world is ending in every painful word she says. I was twenty when I first read “Ender’s Game” back in 1987. I was completely absorbed in it, turning the pages eagerly to know what would happen next and being shocked, even outraged, when I understood the sustained deceit and betrayal on which the book was based. 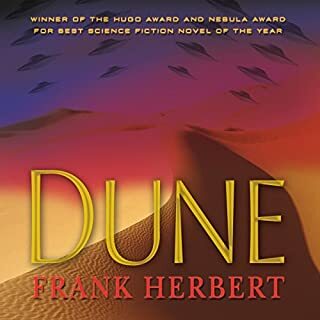 Twenty-six years later, I decided to listen to the audio book version. It was a delight. The narrators give it the feel of a radio play without missing a word of the original prose. Perhaps because I knew the ending or perhaps because I am older, this time my attention was caught by the sadness of the book. Ender is almost always alone, almost always being pushed into situations where none of his options are good, and always burdened by the knowledge the choices that he takes change who he is. I was also more sympathetic to the adults who do the terrible things that shape Ender’s fate; knowing that they are terrible, necessary and unforgiveable. Ender’s assailed innocence and the compromised integrity of the adults are a lesson it what it means to be “grown up” and why children deserve to have time to be children. The book focuses relentlessly on the violence we are willing to commit and the “sins” we are willing to live with in order to survive. It doesn’t glorify these things but it doesn’t diminish them either. It tackles what it means to be different and how often an inability to communicate turns difference into conflict. At its heart, “Ender’s Game” tells us that all games are real, all choices matter, everything that creates an enemy has a consequence. What makes the book remarkable is that it tackles all this while doing a good job of seeing the world through the eyes of a (very bright) vulnerable, lonely, child who is equally gifted with empathy and ruthlessness. Re-reading the book more than twenty years on adds other points of interest: Card’s imagining of the role of the web, the “desks” the children work on and the concept of war executed by tele-presence are all pleasingly accurate. This time round I was very aware that the ending of the book felt like an add-on to set up “Speaker for the Dead” – which I also read twenty-six years ago.- whereas, on the first read, I saw it as a slightly clumsy effort at redemption. The audio book includes an interview with Card, where he explains that he did indeed rewrite the ending and how that came about. 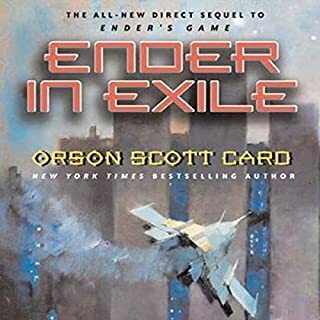 I now find Card’s politics a little thin and unconvincing – too American to be truly global- but I found the way he writes Ender’s sister much more moving than before. The movie will be out soon. I don’t have high hopes of it, although I’ll watch it all the same. 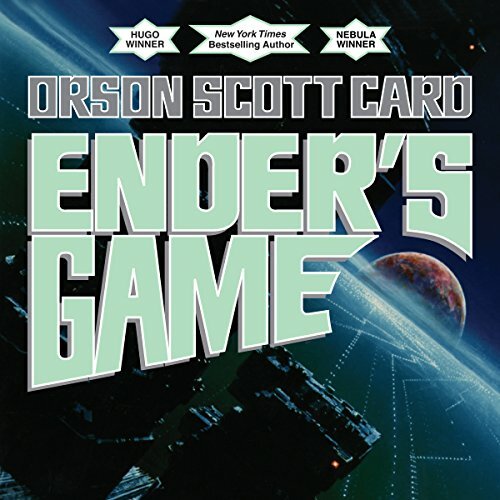 In my view, the most entertaining and engaging way to experience “Ender’ Game” is to listen to this audio version. I recommend it to you. I'm not a huge fan of science fiction, but with the movie coming out soon and the positive reviews 'Ender's Game" received I decided to give it a try. 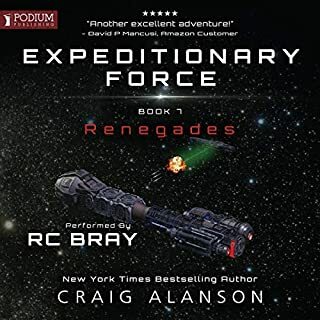 The plot was fast- paced and exciting, although there were times when the story stepped a little too far into science fiction territory for me (lots of anti- gravity situations that didn't further the plot). 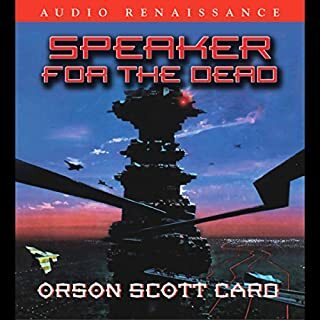 The writing style is quite cynical and at times very dark, and I definitely think there is some political commentary, or at the very least Card subconsciously projects his cynical views of government into the plot. Criticisms aside, I thought the book was very thought provoking, and extremely entertaining. It's definitely worth a read! Don't get me wrong. Although this is a story about a child, it's not written for children. A child might enjoy it, but it is a story about war, violence and politics. It is a classic tale of the weak overcoming extreme adversity. Ender faces many trials during his training to become the savior of the world in a futuristic setting. He is a character I could identify with and found myself cheering him on at each challenge. An excellent book. I can't wait to listen to the related stories to find out what happens next to Ender and what happened to his friends and family.